Update: More details about attribution and the current status of link removal can be found in my answer. Stack Overflow reputation is really hard to calculate. Adam Lear and Nick have been working through innumerable edge cases to be sure nothing will break when we remove the Documentation code. Their tests have turned up latent issues with how non-Documentation reputation is tracked. We found a few issues with the reputation history records that we use to audit reputation, so we wanted to make sure there were no actual reputation bugs (good news: haven't found any) before going ahead with setting Documentation reputation in stone. I’m pleased to announce the JSON archive for Documentation, which may be downloaded from Archive.org. It has a README file that explains the various files and their contents. I’ve also been putting together some examples of how to use the archive over at so_docs on GitHub. If you need help using the archive, please ask on Meta. Alternatively, if the question is on topic on Stack Overflow itself, ask there. This content was ported over from Stack Overflow Documentation, now retired. To access the source and attribution please access the Docs archive and reference topic ID: ## and example ID: ##. For more details, please see the Attribution section of the previous update. With those pieces in place, it’s now time to start looking at removing links to Documentation from Q&A posts. (Thank you again for encouraging us to entrust this job to the community.) If you want to be a part of this project, you can jump right in by editing one of the posts listed in this spreadsheet. If the example or topic add little or nothing to a post’s usefulness, just remove the link. For instance, a sentence like “You can find more information . . .” can just be removed. So can a link to a topic about a general programming concept. Please consider also fixing other problems with the post while you are editing it. Green means all the tag's posts are handled, red means > 50 are outstanding and yellow is somewhere in between. 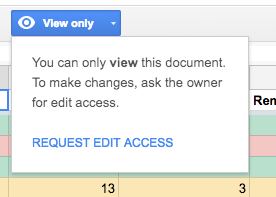 You'll need to be logged into Google account to edit. Be aware that other editors will have access to your Gmail address and G+ profile. Once the links are cleaned up, we'll delete the spreadsheet. Feel free to edit out links without updating the spreadsheet, if you prefer. I’ve also created a chat room for coordinating activity. It’s a good place to ask about specific examples, too. As the link cleanup process commences, our developers will begin removing code and page elements related to Documentation. In particular, the topbar menu item and the search bar on Docs will be removed soon. However, we’re not going to remove the content itself until the link cleanup is completed. What you've suggested for attribution does not fulfill the attribution requirements imposed by CC BY-SA 3.0, under which Stack Exchange has licensed the contributions from users. Just linking to a data dump and saying "go find the attribution for this somewhere over there" isn't sufficient. Even if the "attribution" was a link which went directly to a page which contained the content, it would be insufficient.2 In my opinion, having the only attribution being a link to an archive, where you're telling people to go dig through a non-human-readable set of data files3 to find the author information, is significantly worse. You're basically saying that Stack Exchange considers it acceptable to skip including the attribution required by CC BY-SA 3.0 when it's just inconvenient to include the attribution. The only time these are not required is if the author has given notice, under CC BY-SA 3.0 § 4(a), that they desire for their credit to be removed. In such case, you must remove the attribution. CC BY-SA 3.0 is the license under which the authors licensed their contributions to Stack Exchange. Stack Exchange is just a licensee of that content. It doesn't hold the copyright to the user content. It doesn't own the user content. It's not the author. Stack Exchange does not have the right to change the terms of the license retroactively. While what you have suggested is convenient for Stack Exchange, changing a legal agreement retroactively is not acceptable.7 Stack Exchange could have made your suggested attribution what's acceptable by making the change public prior to the users providing their contributions, but not after the content has been contributed. The (non) attribution you have suggested might be considered sufficient if all of Stack Exchange was considered a single work. But that's not the view intended by the terms of service, the CC BY-SA 3.0 license, or how Stack Exchange has treated each individual contribution. Given that the Documentation dump is hosted by archive.org, not Stack Exchange, it makes it clear that Stack Exchange is not treating them as all the same work. Thus, such interpretation would be internally inconsistent. So far, and certainly how Documentation was set up, and Stack Exchange in general, each Documentation example, SE question, and SE answer is considered a separate work. Each is individually attributable to the users who have contributed to that individual work. Visually indicate that the content is from Stack Overflow Documentation. It doesn’t have to be obnoxious; a discreet text blurb is fine. Hyperlink directly to the Stack Overflow Documentation archive located at archive.org. Indicate topic and example IDs where the content came from. List the contributors (found in contributors.json) with a link to their profile page (e.g. https://stackoverflow.com/users/12345/username). Note: As written, the above 4 points from the license.txt file can only be interpreted as in addition to the requirements spelled out in the CC BY SA 3.0 license. If they were intended to limit those requirements, then A) it would need to explicitly state that it's reducing/limiting what's required; and B) Any such limits would have had to be publicly posted prior to the users contributing content. When interpreted as additional requirements, these do not conflict with CC BY-SA 3.0. This isn't a situation where we get to just say I'd like it to be this way. The contributions have already been made. The license which defines the rights and duties of the parties to the license has already been agreed to. We only get to deal with the situation as it exists, not how we might like it to exist. The only way we would be able to do that is if we got each separate author to agree to new license terms for their work. The following content is from "Getting started with firefox-addon - Installing unsigned add-ons" from Stack Overflow Documentation (archived here); copyright 2017 by Makyen and Martin Zhai; licensed under CC BY-SA 3.0. An archive of the full Stack Overflow Documentation content can be found at archive.org, in which this example is indexed by its topic ID: 3235, as example: 27244. Normally, I would strongly recommend including the URL at which the person which is copying the content actually obtained it. In fact, stating where you found it is considered a primary criteria for referencing material in most professions. I am not a lawyer. The above is based on a basic reading of the CC BY-SA 3.0 license. It should be considered my opinion, and is not legal advice. The following code is from the answer to "If I use SO code on my website, how should I give attribution? - Meta Stack Overflow" at https://meta.stackoverflow.com/a/253622, copyright 2014 and 2017 by Bill the Lizard and Makyen, licensed under CC BY-SA 3.0 (https://creativecommons.org/licenses/by-sa/3.0/). 3. The format is a 7-zip compressed set of JSON encoded data. A human could read through the data. However, the significant majority of people would find it difficult to find the authors of a particular post. Admittedly, a higher percentage of Stack Overflow readers would be fine reading through it than the general population. 4. CC BY-SA 3.0 qualifies #3–6 [CC BY-SA 3.0 § 4(c)(i)–(iv)] as only required when "reasonable to the medium or means You are utilizing". However, I don't see that Stack Exchange would want to argue that its unreasonable to include them in an SE question/answer. If Stack Exchange makes that argument here, then it opens up that argument to anyone, anywhere, which isn't consistent with how Stack Exchange has been a proponent of attribution in the past. Basically, IMO, it's reasonable to include those in an SE Q/A if it's reasonable to include them anywhere. 5. The CC BY-SA 3.0 license is already linked from every Stack Exchange page, so this requirement is covered. 6. You don't have to provide the URI to the work if "such URI does not refer to the copyright notice or licensing information for the Work". The data dump does include it, so you do need to include the URI to the data dump, if that's the source of where you obtained the information. 7. You could write an agreement, and there are ones so written, that allows one party to unilaterally change the agreement. However, what's really required for that to be enforceable is beyond both my expertise and what could be covered here. Mostly as an FYI, I found at least one Docs reference was in a deleted answer — an answer deleted before I looked at it. It's not a problem to me, but anybody with less than 10k rep would not be able to see the answer as they go to edit it, which would be confusing. JFTR, I removed the reference to Docs. Even if the answer had not been deleted, that would (probably) have been a sensible course of action; the link provided very limited benefit to the answer. Here is another already deleted answer that used to contain a Docs reference — 'twas a "link-only" answer before 'twas deleted. And this answer is in a fully-deleted question (so the answer is deleted because the question is deleted). I've encountered a number of others already — it could be quite a common occurrence based on my non-random sampling of two tags. Because it was primarily a reference to a Docs entry, I flagged it with a custom reason 'No longer needed — link to Docs. Comments are ephemeral; this should simply be removed, as should any other comment referencing a Docs URL.' I'm not sure whether comments containing docs links were discussed before. Indicating that an entry has been processed? I'm not clear whether we're meant to edit the spreadsheet. I can only comment, so I've added comments to the entries on the 'awk' and 'c' sheets that I've processed. While searching for posts with Docs links on Stack Overflow, I seem to notice that some posts are missing from the spreadsheet. 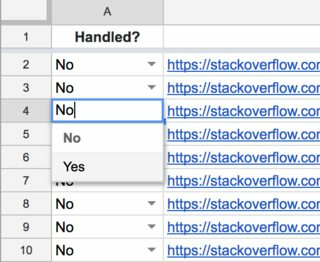 The spreadsheet has 3,980 posts while a search on Stack Overflow using the keywords url:stackoverflow.com/documentation/* shows that there are 4,426 posts that contain Docs links (as of the time of this post). All 5034 Documentation links in Q&A have been handled by the community. On behalf of the Documentation team, I'd like to thank those of you who pitched in! This worked out imaginably better than I expected. As always, the Stack Overflow community is full of delightful surprises. Since there’s been some confusion, I’d like to remind everyone that nobody lost reputation when these links were removed from your posts. We’ll be removing Documentation content from the site very soon, so now is the time to fix those links. Rolling back edits is counterproductive. You might also notice a new "Documentation User" badge (or two) in your inbox. We're going to be removing Documentation badges other than the Betas and Pioneers soon. All things (whether good or bad) must come to an end. Where possible, the same information should be included regardless of how you are reusing the work. However, sometimes this is impractical or impossible. The CC licences let you change the exact placement, the language or level of detail from medium to medium, as long as your attribution is ‘reasonable to the medium’. For example, when you are using CC material in a book, it is easy to provide a long, written attribution with all the information next to the work. However, where you use a CC song in a podcast, it is trickier to provide the same amount of information so immediately. We got lucky that I was able to list Documentation contributors this time, so I just did it. If you need to cite a paper with hundreds of authors, it's not necessary to give credit inline. Linking to an outside list of contributors is perfectly acceptable. 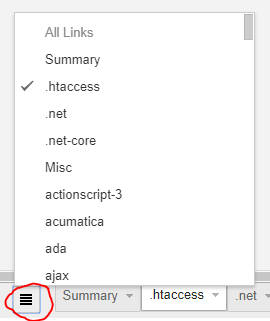 Are we removing all links to the documentation? Should we close all meta questions tagged with Documentation? How to use the documentation archive? Is a link only answer pointing to Documentation an answer?